Red bows are necessary for Cindy Lou. Dr. Seuss characters are always fun to re-create in dress-up or on stage, but parents have their work cut out for them when trying to copy Cindy Lou Who’s hair from the live action film and stage versions of How the Grinch Stole Christmas. Little girls are enchanted with the idea of being the Who who did so much to warm the Grinch’s heart, while parents would prefer they go for the Chuck Jones’ version instead. The good doctor was renowned for the charming simplicity of his drawings, and Cindy Lou Who was no exception. Little Cindy Lou, who was no more than two, had short blond hair that waved out at the nape of her neck. 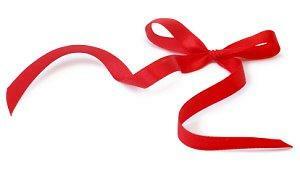 She wore a red ribbon tied in a huge bow and had delicate antenna on the top of her head. For the delightful animated version of the story, she was given shaggy bangs and two red ribbons on either side of her head. Needless to say, most parents would be much happier giving their daughters this hair style for a costume. However, when the average girl wants to dress in a Cindy Lou Who costume, she wants the much more exaggerated, theatrical look of the live action film or stage version. This do is much more complicated. First, there are two long braids starting behind each ear that loop and are then pinned on the top of the head – the effect is of saucer handles. On top of the head is a cone-shaped pile of hair, bound near the top with a red bow and topped with curls – it looks a bit like a gift-wrapped bottle. All around the cone’s bottom are more curls. It’s the sort of look that can give a parent an aneurysm when their kid is determined to look like this famous Who. Fortunately, it can be done, and without much expense or fuss. All you will need is access to a good craft and beauty shop and a lot of patience. Even if your daughter has a lot of long hair, you will probably want to use fake hair for at least part of the look. Use craft wire inside the braids so that they will hold steady – think Pippi Longstocking – and stay even. The ends of the braids can be some of the curls at the base of the cone. The cone is the tricky part. You can find one easily enough in a good craft shop, but securing it to the head without discomfort takes some work. Although it is time-consuming, the best way to manage is to build a base of fake hair for the curls, which can easily be secured to your child’s hair with bobby pins. You can then cover the cone with more fake hair, smoothing it as you go, and use glue to secure it to the base (obviously, this is before you fix it to the head!). Any imperfections are easily hidden with bows. If the cone you find isn’t quite stable enough, you can use more wire to hold it in place. For girls with shorter hair, you may consider using a long-haired costume wig. This will definitely cover any possible mishaps that would require unfortunate cuttings. You can buy a cheap wig in a costume shop or even a thrift shop and then build the hair accordingly. The main thing you want to be mindful of is weight. Your cone should be foam or wire and you want to be sure to balance it right on top of the head so that your child will not be top-heavy. No matter what, when you try to re-create Cindy Lou Who's hairstyle for your child, you will have earned some serious parent points!